Even by the scientists most closely associated with it, geoengineering – the deliberate intervention in the climate at global scale to mitigate the effects of climate change – is perceived to be risky. For all its potential benefits, there are robust differences of opinion over the wisdom of such an intervention. 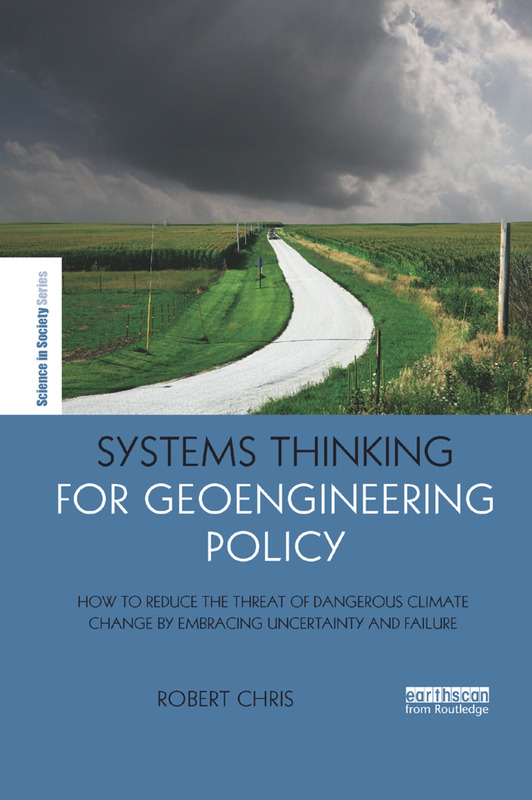 Systems Thinking for Geoengineering Policy is the first book to theorise geoengineering in terms of complex adaptive systems theory and to argue for the theoretical imperative of adaptive management as the default methodology for an effective low risk means of confronting the inescapable uncertainty and surprise that characterise potential climate futures. The book illustrates how a shift from the conventional Enlightenment paradigm of linear reductionist thinking, in favour of systems thinking, would promote policies that are robust against the widest range of plausible futures rather than optimal only for the most likely, and also unlock the policy paralysis caused by making long term predictions of policy outcomes a prior condition for policy formulation. It also offers some systems driven reflections on a global governance network for geoengineering. This book is a valuable resource for all those with an interest in climate change policy, geoengineering, and CAS theory, including academics, under- and postgraduate students and policymakers. Robert Chris is a Visiting Fellow at the Department of Geography, The Open University, UK.